Most people think of United Way as a fundraiser. Raising money is important, but it takes more than money to build a better community. It takes people who care. 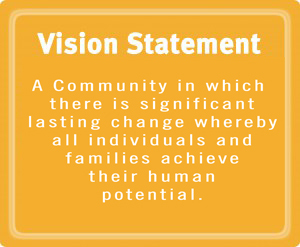 United Way of Northwest Florida acts as a forum to bring people together, coordinate efforts, set goals, and measure progress. It takes a whole community, working together, to achieve results. 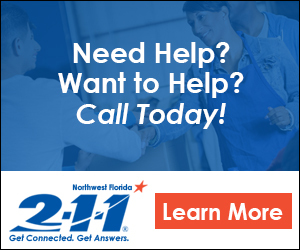 United Way of Northwest Florida partners with local agencies, businesses, governments, and volunteers to build initiatives that create lasting change by preventing problems from happening in the first place. 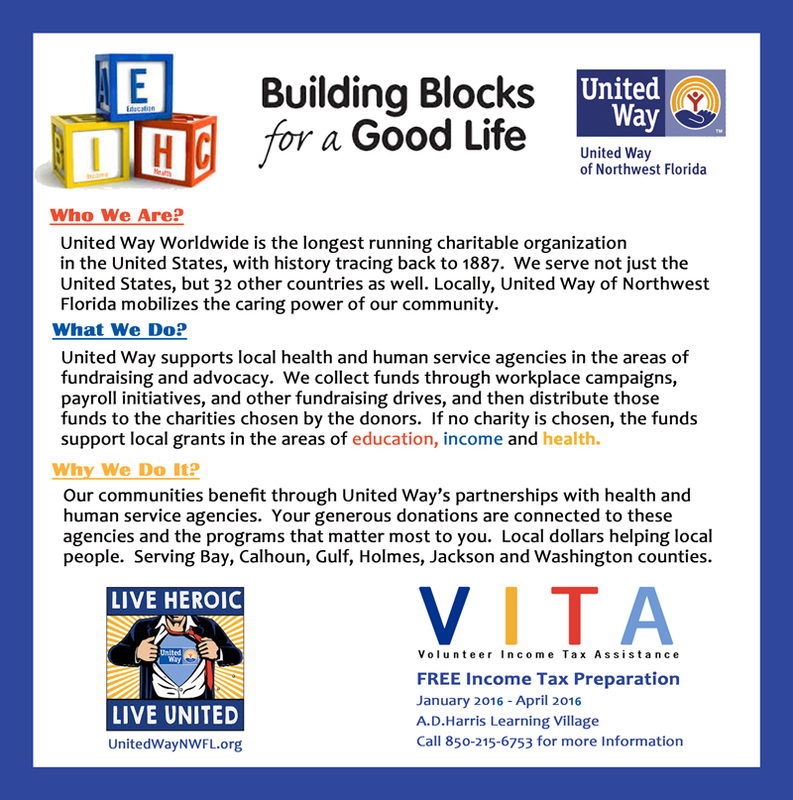 When you give to United Way of Northwest Florida, your gift stays in your local community to help address and solve problems that matter to you and create opportunities for a better life for all. DEVELOP RESOURCES – We collect donations from generous people like you through workplace campaigns, special events, and online donations. 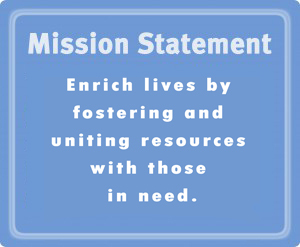 DISTRIBUTE FUNDS – We will distribute your gift to any non-profit agency. Passionate about helping children learn to read? Want to help feed the needy? It’s up to you, just tell us where you want your money to go. Can’t decide? That’s OK. Your gift will go to our Community Impact Fund. IMPLEMENT SOLUTIONS – The Community Impact Fund of United Way of Northwest Florida provides funds for grants that focus on Education, Income, and Health. required to report on the progress and accomplishments of their programs. Your gift to United Way of Northwest Florida goes far, but never far away. 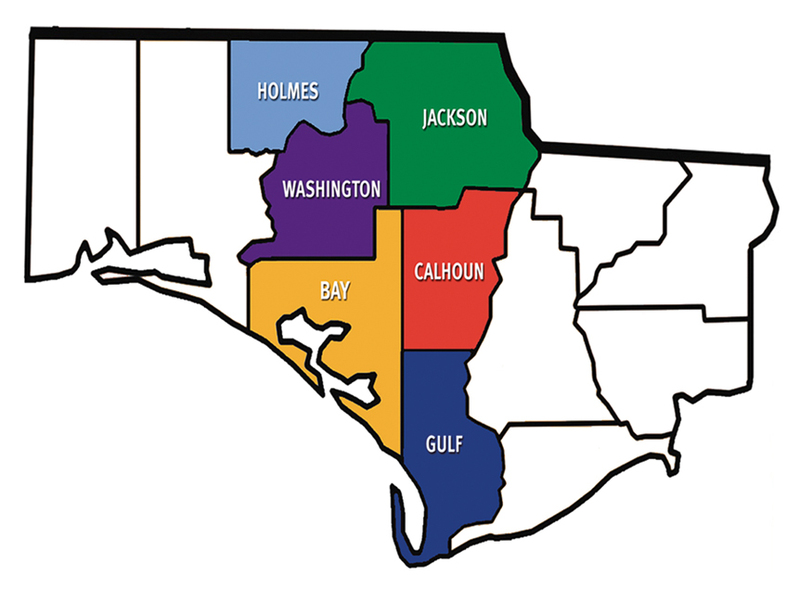 The overwhelming majority of funds raised stays right here in Bay, Calhoun, Gulf, Holmes, Jackson, and Washington counties, helping strengthen our communities. Each year, local agencies assist our neighbors, friends, relatives, and coworkers in each of these communities. Your gift is the lifeline for hundreds of families in our region and provides services such as early childhood education, specialized care, youth development, and senior services. Please give today and continue to make a difference in your community.